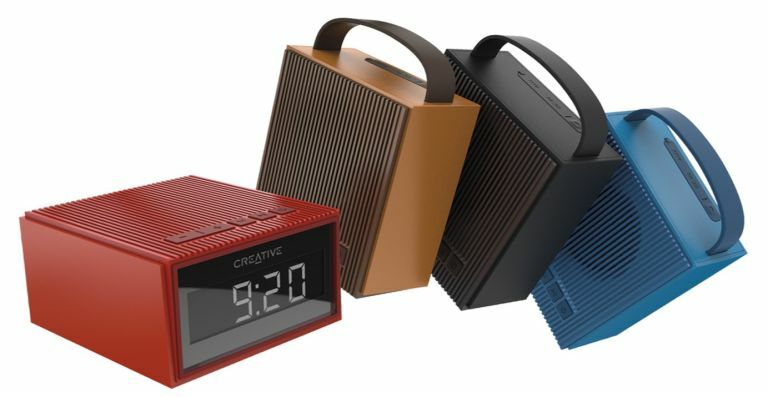 If you've ever wanted to go back to the days where you didn't rely on your phone to get you up every morning, why not try out this multi-functional alarm clock from Creative? When placed upright or flipped horizontally, the Chrono is a powerful IPX5 splashproof Bluetooth speaker. The Chrono features Bluetooth for wireless connection to smartphones and tablets, an in-house tuned full-range driver with passive radiator for big sound and impressive bass, a speakerphone built-in for calls with a smartphone and has an eight-hour battery life. The Creative Chrono, with its oversized LED digital clock display with customizable alarm and a built-in FM tuner with up to 50 station presets, will be available from mid-September 2017 with a price tag of £39.99. Audio electronics maestro Onkyo is back with two brand new AV receivers, perfect for upgrading your home entertainment setup. The TX-8250 and the TX-8220 offer wireless connectivity, multi-room control and more. The TX-8250 combines wide-range amplification tech with universal network streaming and multi-room audio, along with hi-res audio playback, digital inputs for TV/BD/CD, USB Audio, and an MM phono input. Network and multi-room audio support also includes Chromecast built-in, FireConnect2 powered by Blackfire and DTS Play-Fi3 so you can connect either model to Spotify, TIDAL, Deezer, and more direct through your phone or tablet. The TX-8250 Network Stereo Receiver will retail for £529.99, the TX-8220 Stereo receiver will go for £249.99. There's also a handy UDB-1 DAB+ adapter, priced at £39.99. You can order you own later this month. In the market for a new gaming laptop for the coming winter season? The new Inspiron 15 7000 Gaming Laptop offers a tasty Nvidia GeForce GTX 1060 graphics card along with a 4K UHD display, Thunderbolt 3 ports and much more besides. It'll be available in the UK in mid-September starting at £899. There's also the new Alienware 34 Curved Gaming Monitor, which goes big with a stylish Alienware design with custom AlienFX lighting across four lighting zones - there's even the inclusion of Dell Premium Support Plus, which delivers automated, proactive, predictive capabilities and virus removal, for more responsive gameplay. The AW3418DW will be available in the UK on September 28th for £1,390. Watchmaker Michael Kors Access is expanding its range of touchscreen watches with the Sofie and Grayson models. The Sofie and Grayson smartwatches - which boast all the usual features you'd expect from a modern non-fitness smartwatch - will also feature the newest version of the Michael Kors Access app, which includes the new My Social feature that enables you to link directly to their Instagram account from your smartwatch. The women’s Sofie smartwatch will be available in eight different plating and bracelet combinations, and the men’s Grayson will be offered in four plating options with four interchangeable strap options. Both models are available now, priced at £349.